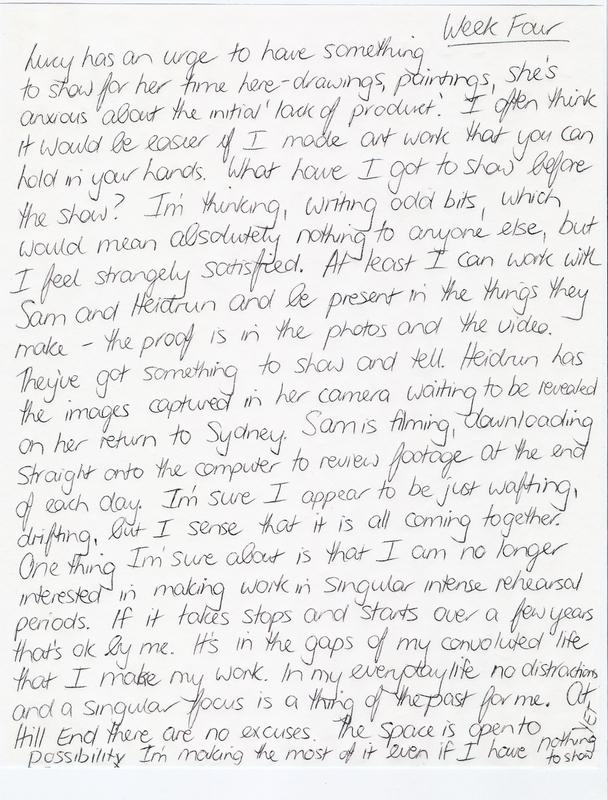 In May 2003 Julie-Anne spent time as Artist-in-Residence in the historic village of Hill End, hosted by Bathurst Regional Art Gallery. 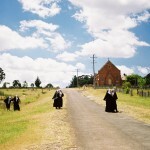 Work resulting from this project include a video installation The Nuns’ Picnic with Samuel James exhibited at Bathurst Regional Art Gallery (2004) and Performance Space (2005), a solo dance work NUN in Onextra’s ‘Solo Series’ at Performance Space (2005), and two site specific performance events in Hill End working with six other Sydney-based dance artists; Landed in the Landscape, in and around the village, and Trust and Try! a contemporary vaudeville show, at the Royal Hall, on Saturday 4th December 2004. 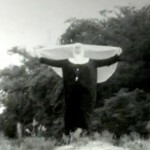 Two Super8 films Nuns’ Night Out and Trust and Try! shot during this project were completed in 2005. The Nuns’ Picnic project was made in collaboration with video maker Samuel James, photographer Heidrun Lohr, composer Drew Crawford and choreographer/ performers Narelle Benjamin, Michael Whaites, Rakini Devi, Martin del Amo, Kathy Cogill and Bernadette Walong. This body of work was produced by Onextra. 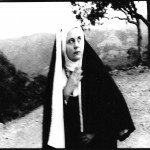 Julie-Anne Long was awarded ‘Outstanding Achievement in Independent’ Dance Australian Dance Awards 2005 for The Nuns’ Picnic.